Madelife will be unveiling their October art exhibition, “Unearthed” by Rob Mack that includes 2D & 3D artwork and a special window installation. Live music all night long by Raw Russ and more TBD!! Cocktails by Suerte Tequila, mixers/elixers from Shine, Beer by West Flanders and Photobooth by Timmy D’Antonio Photography. Come out in support of this amazing community and get your shirts ON and your dance OFF! $25 suggested donation gets you a LIMITED EDITION ART SHIRT, food, drinks and fun! 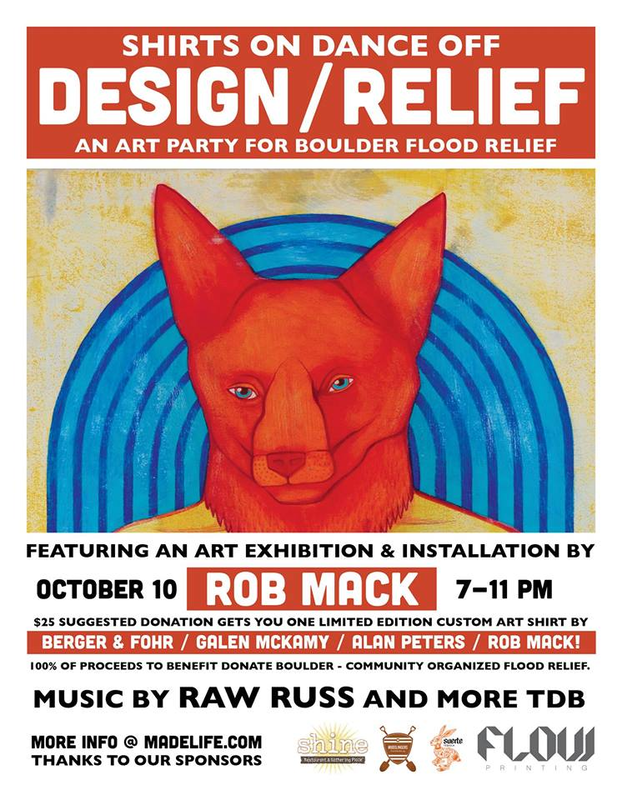 100% of proceeds to benefit Boulder Mudslingers. 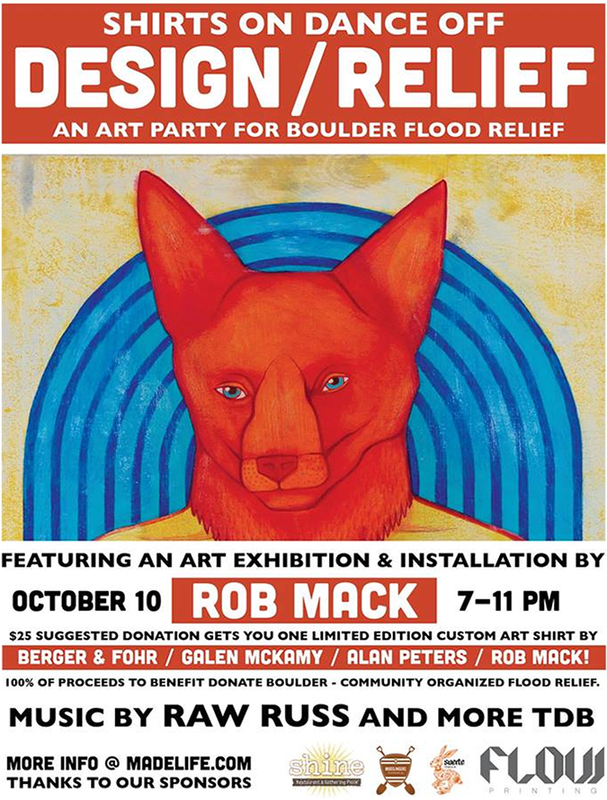 “Unearthed” New work from Rob Mack will be on view October 10th through November 10th. A big thanks to our sponsors: Flow Printing, Suerte Tequila, Shine, West Flanders Beer, Timmy D’Antonio Photography, Raw Russ! !